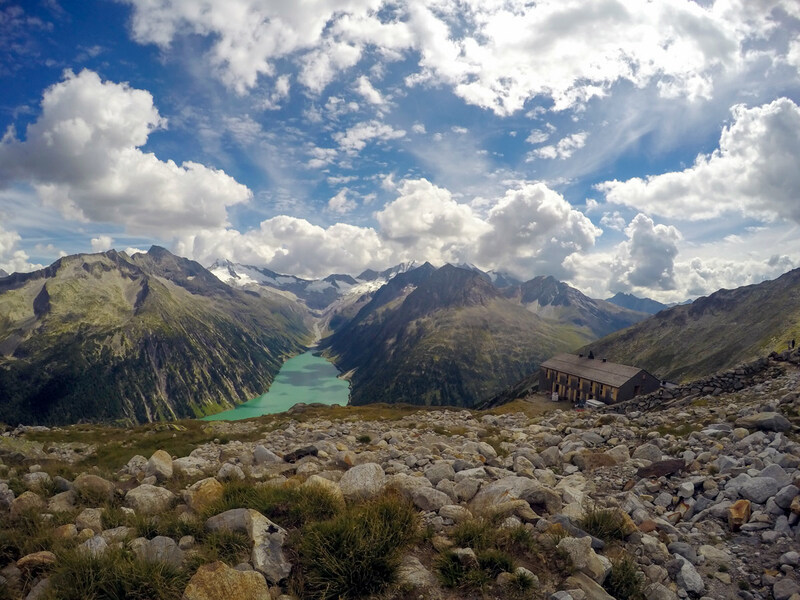 The Friesenberghaus & Olpererhütte hike provides breathtaking views over Schlegeis reservoir. 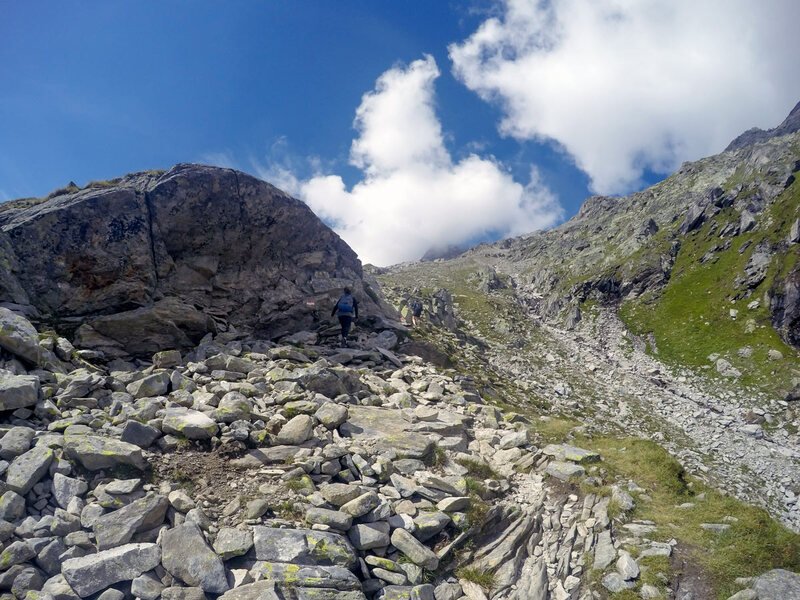 Views of steep and exposed mountains also make this hike something really special. 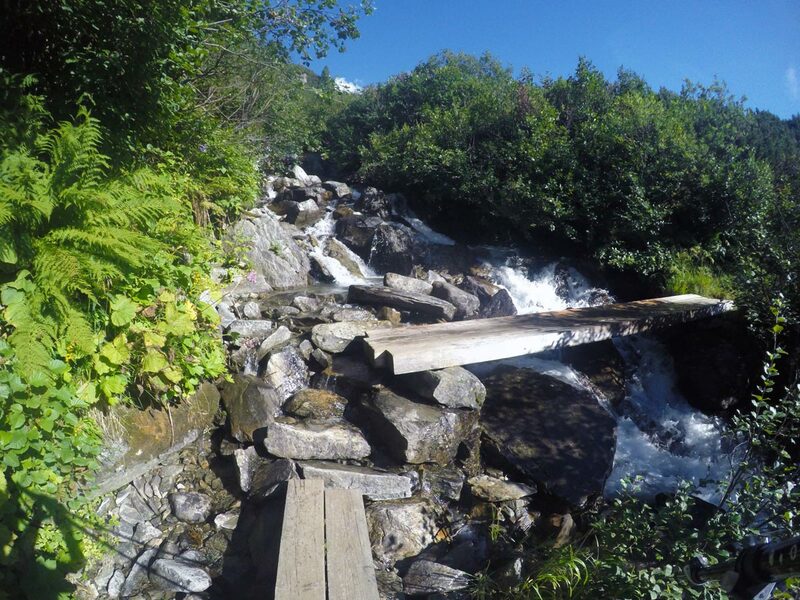 At the famous Olpererhütte, you can take awe-inspiring pictures from the small bridge. From Mayrhofen head out on Highway B169, following the sign to Ginzling. In Ginzling, keep right to Schlegeis Speicher. The toll fee is approximately €12. Start the hike at the front part of the parking lot. There is a good restaurant here if you need a last minute snack. 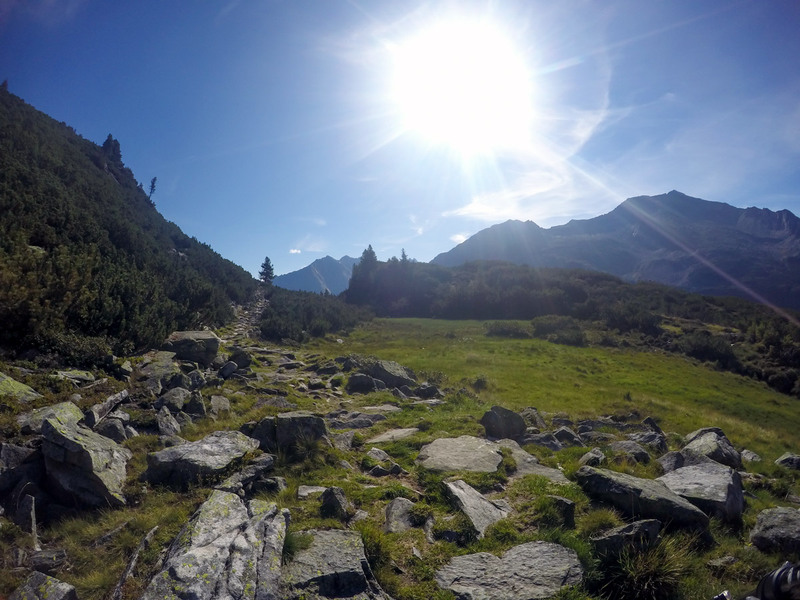 The first stop in todays trip is heading for the wonderful Friesenberghaus. 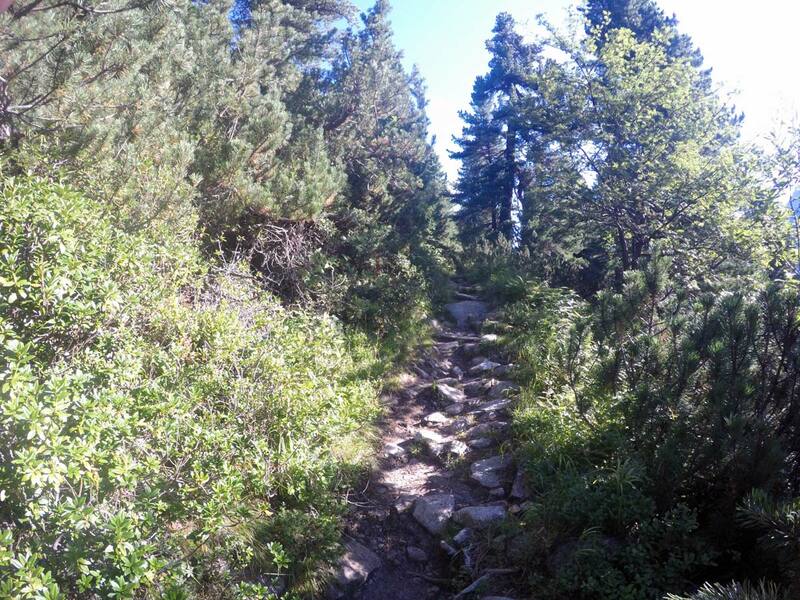 The path leads from the parking lot, heading north, taking you through pine tree woods. You get an awesome view over the reservoir as you leave the woods behind you. 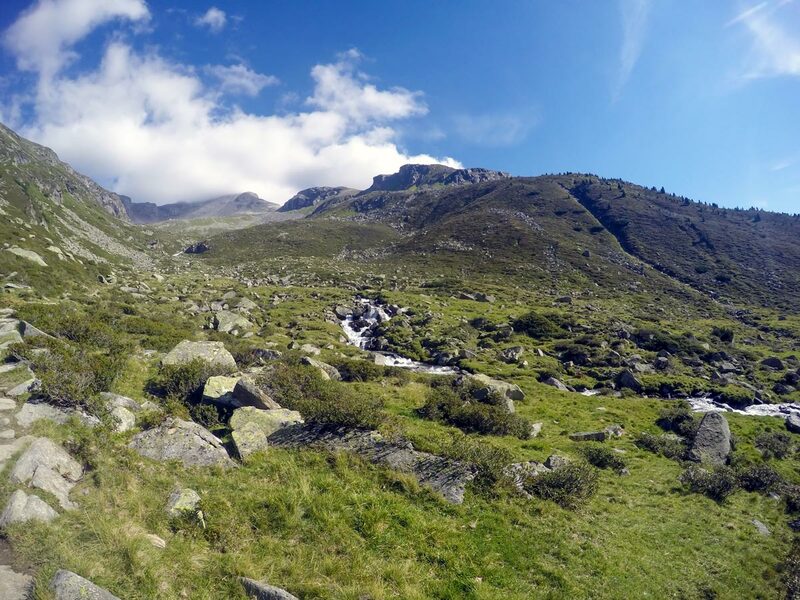 You will pass a new, small private hut and will see the alp early on as soon as you are around a mountain corner. 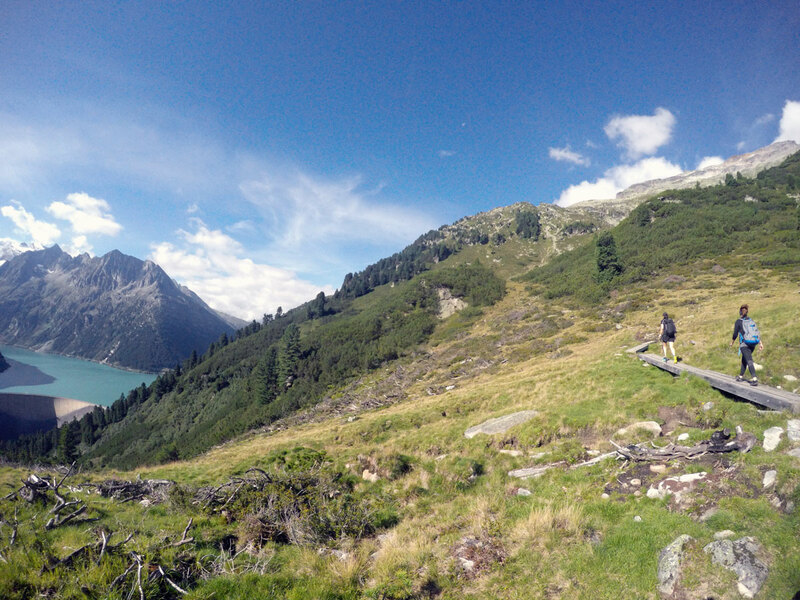 Further over the meadows, colorful signs lead the way up to Friesenberghaus, located above a small lake. It usually takes between 2 and 2.5 hours to reach this point. 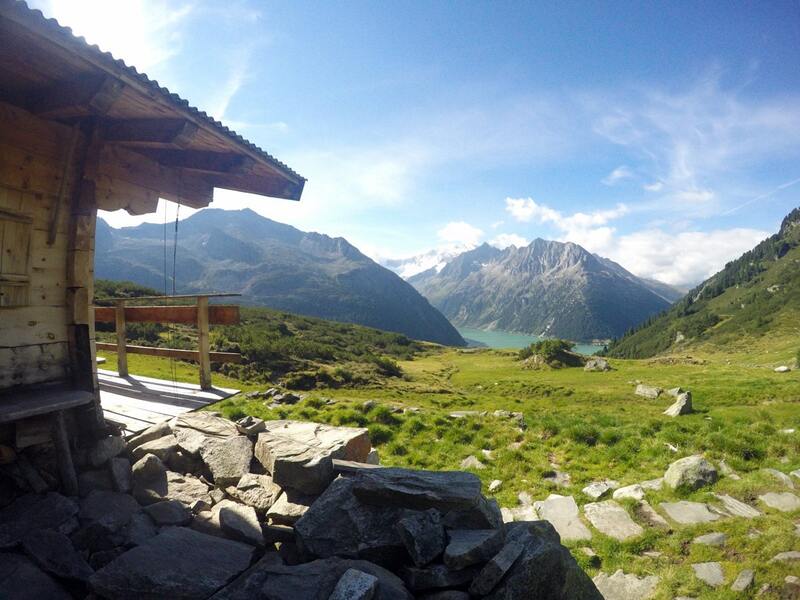 This is a charming mountain hut, with good food, and makes a great base for a night in the mountains. 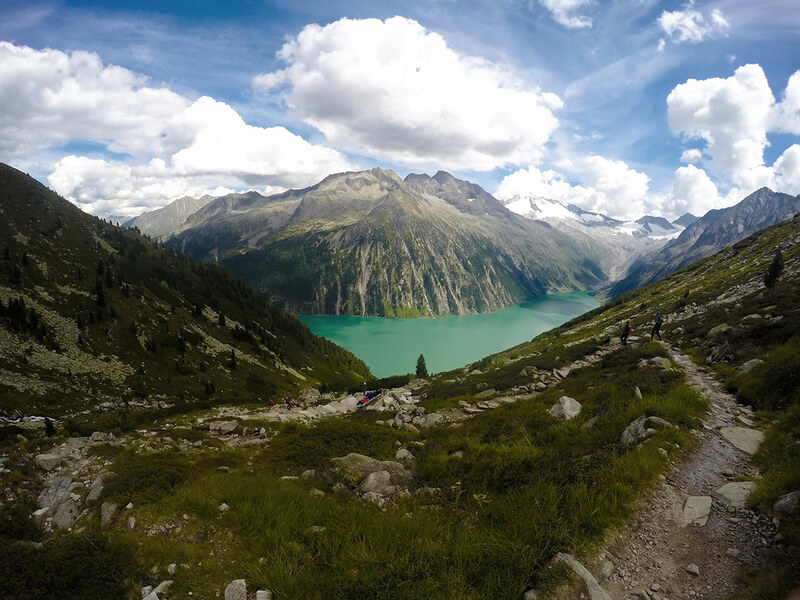 While many return after a trip to Friesenberghaus, we recommend making a tour of this, and continuing to Olpererhütte, roughly 2 hours of walking away. 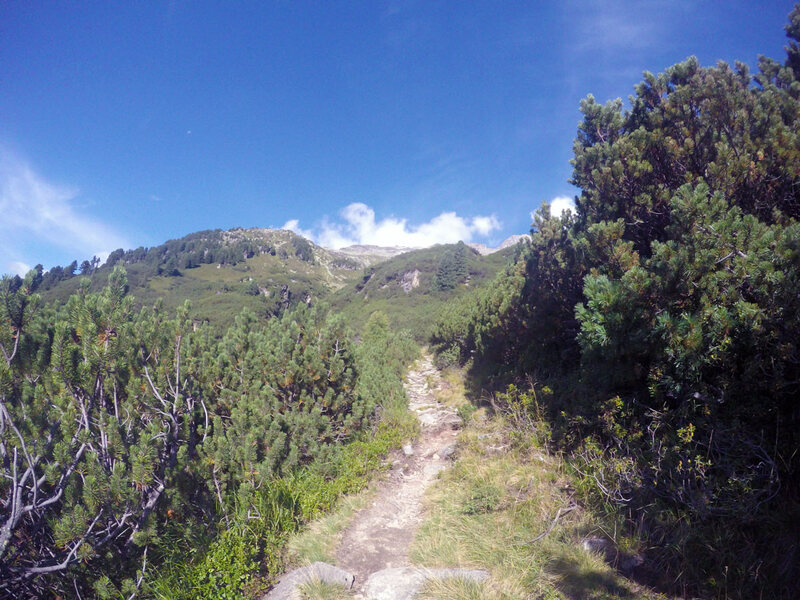 The route goes down to Friesenbergsee and then steeply up to 2630m. Keep left at the next yellow sign and continue by following the trail around the mountain until you reach the small bridge (Kebema Panoramabrücke) where everyone is taking pictures. 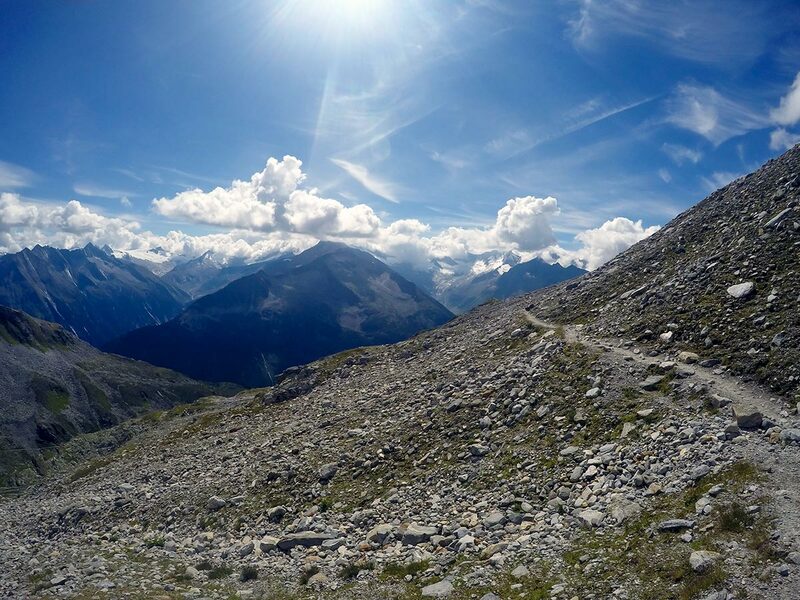 Now you are just a few minutes away from the Olpererhütte. 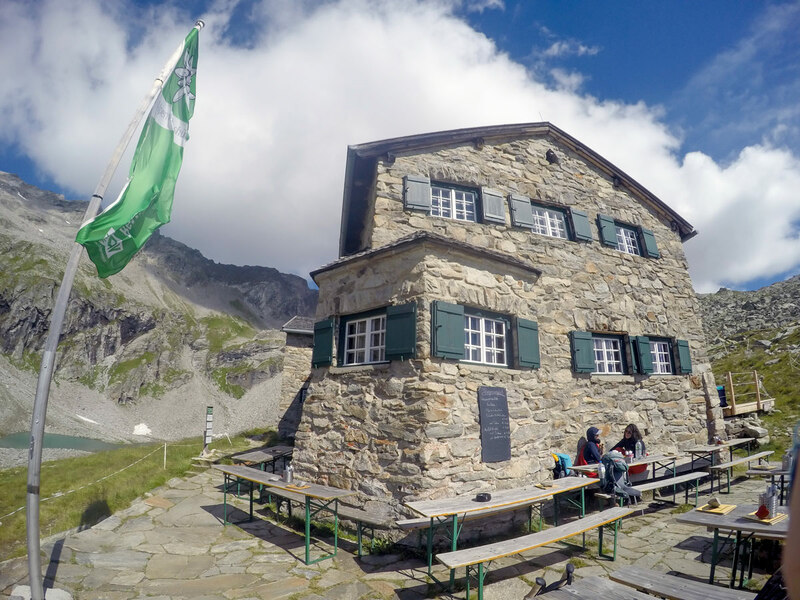 The Olpererhütte is another outstanding mountain hut, great for a night out in the mountains. Definitely stop for lunch and a break here, the views are spectacular! 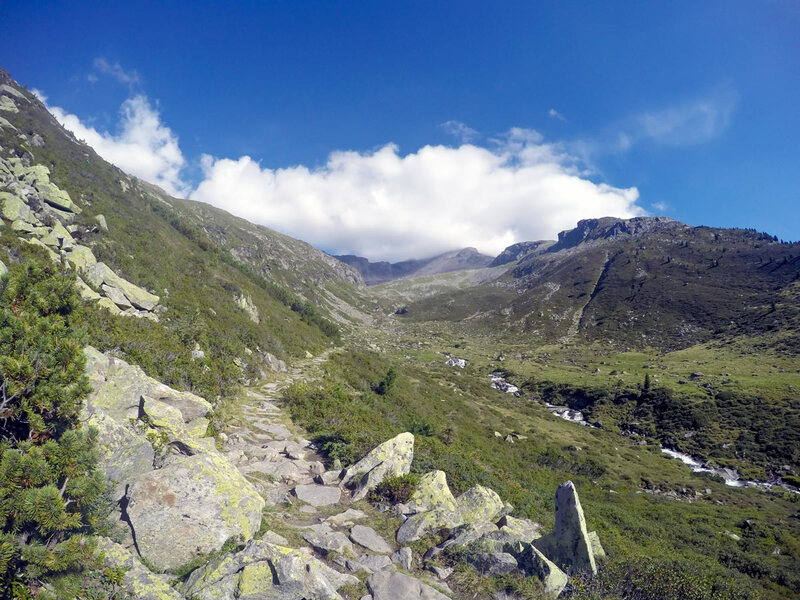 After taking a break and enjoying the scenery, hike down past the Olpererhütte follow the trail as it goes to the right and then goes left, all the way back to Schlegeis Speicher. Once you reach a road by the water, go left to get back to the parking lot. Have a nice break to get some energy at Friesenberghaus. 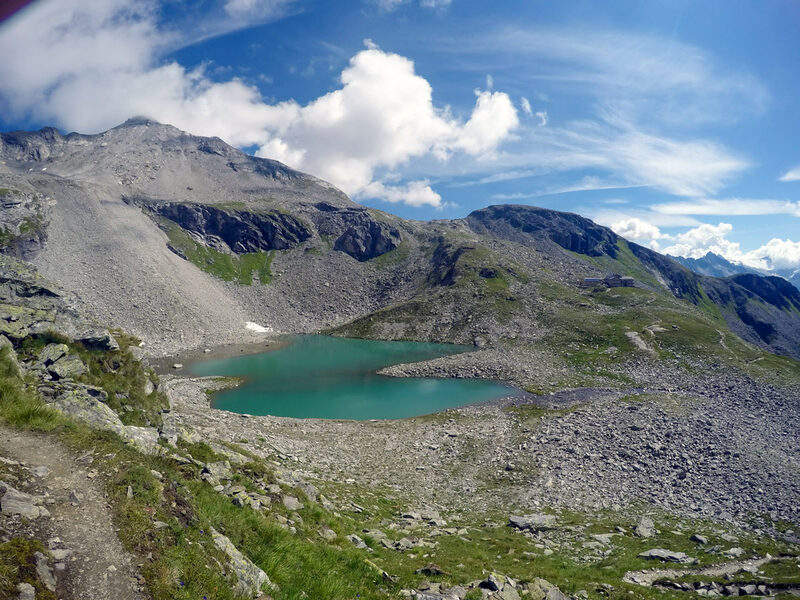 It is also a great place to spend the night in the Austrian Alps. Definitely take a picture at the Kebema Panoramabrücke bridge with the reservoir in the back. If you want, you can hang something on the steel heart – usually either a lock or a wristband. The food is delicious at the Olpererhütte. You should take a break here and have a great lunch with an awesome view. 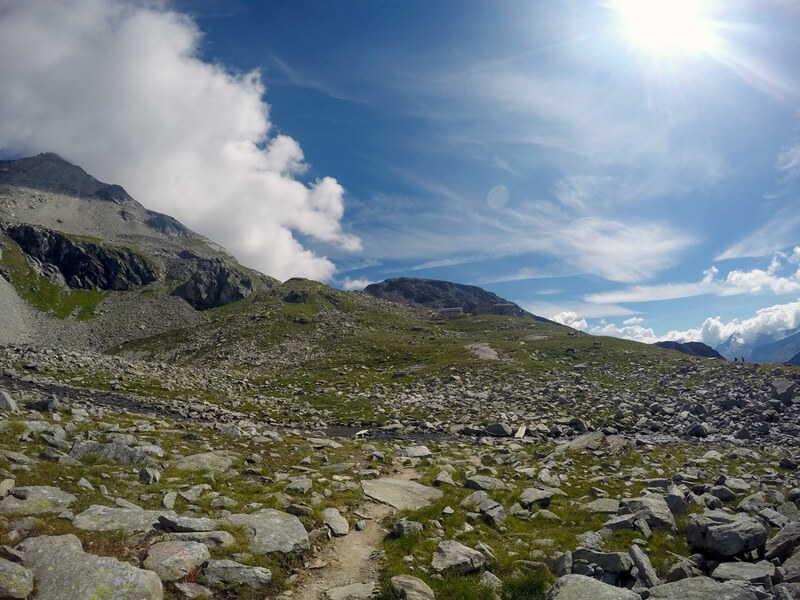 If you want to cut down on km, you can also hike up Olpererhütte from the reservoir and go back the same way. 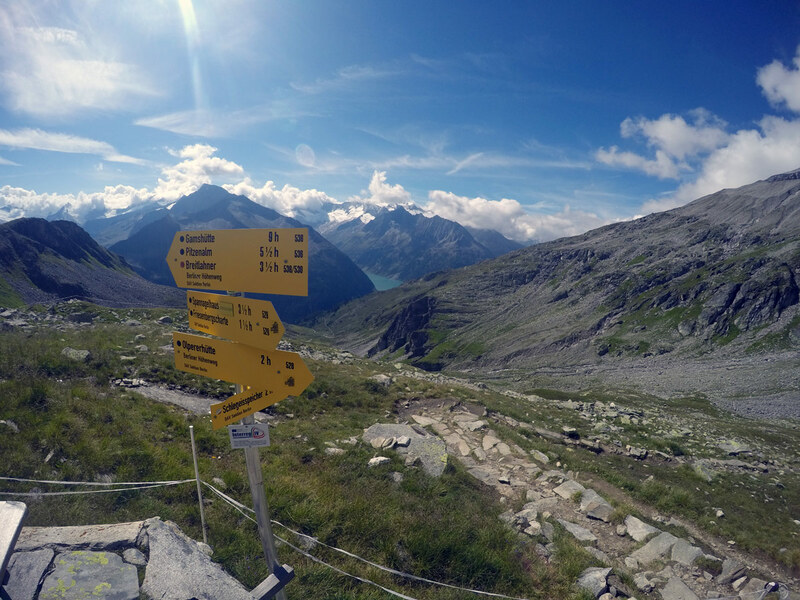 It is about a 1.5 h hike up there and yellow signs are all over the place to guide you.